It has been reported that the US and China are 90% done on the trade deal negotiations. The 10% will probably be the hardest to hammer out. When this deal is announced we expect a rally in the stock and commodity markets. Tariffs between the US and China has caused significant damage to the global economy. A failure to resolve their differences could cause a global recession. A successful resolution could be the start of a bull market. Below is our latest Corn and Soybean supply and demand tables. This is assuming NO deal with China. 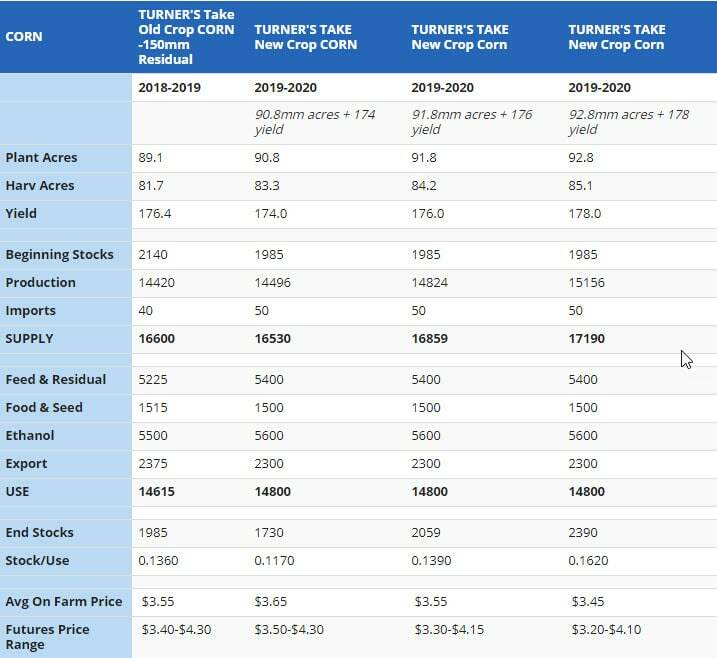 The next additions of Turner’s Take Market Alert and Turner’s Take Ag Marketing will have assumptions that a deal gets DONE! The No Deal tables look bleak. Soybeans are much worse than corn without a trade deal. 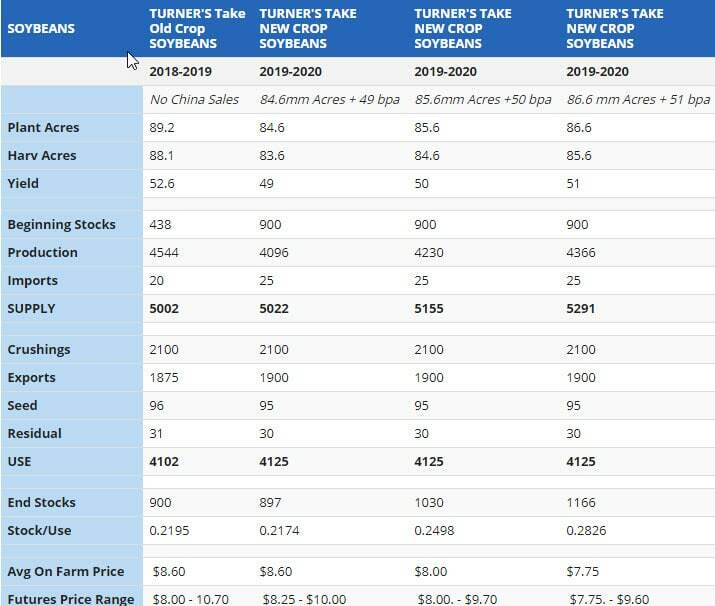 Soybean stock could easily be over 1 billion. Corn stocks will still be in the 2 billion to 2.4 billion range, which is not a disaster but it does keep front month corn in the mid $3 and gives new crop little reason to test $4. A US/China deal does not help global stocks, but it does help US ending stocks and basis. Lets hope this gets done sooner rather than later. Trading and marketing advice will be published Thursday and Friday.